Sinks and Taps are the figurative ‘cherries on top’ of any relevant design. Häfele knew this, and all its newest collection is all about bringing in a new era of innovation in manufacturing technologies that will surpass the others which are available in the market. 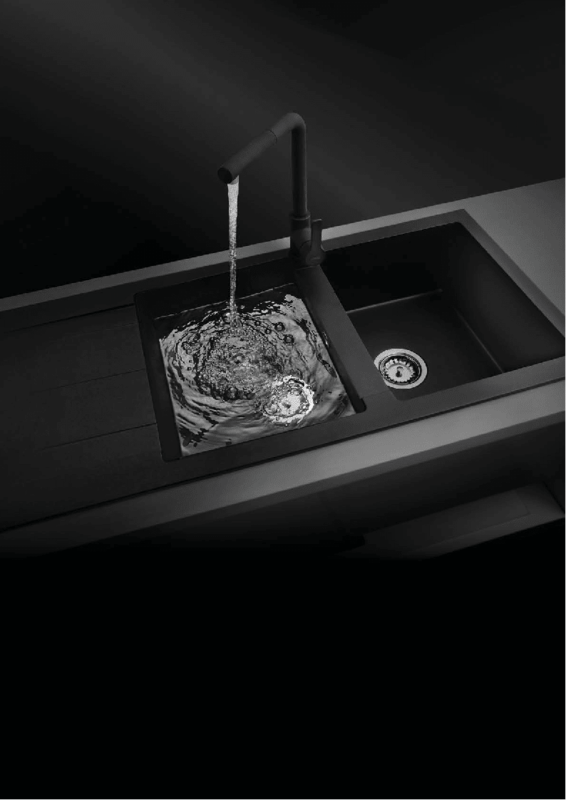 This new collection consists of a wide range of Granite sinks and taps from Germany. The designs and textures perfectly complement all manners of kitchen countertops. Their aesthetics merge with a whirlpool of functionality that will make cleaning and washing an easier experience for the user. These surfaces are also easy to maintain, are practically scratch-resistant and can last even in specifically adverse conditions. The best feature about Häfele’s sinks are its heat and fire resistance. It is through these extensive lists of benefits that Häfele has managed to manufacture extensive applications for their ‘single bowl’ and ‘double bowl’ categories with a drain board sink to meet the specific cleaning standards of the user. In light of that, let’s look at some of the advantages of these sinks. Heat resistant: Now you could put the scalding hot pot bottom directly on the countertop with zero fear of damage to the surface. Stain Resistant: You’ll never need to scrub religiously at that particularly nasty stain again with Häfele’s stain resistant Granite countertops and sinks. Scratch Resistant: Slice and dice all of your veggies right on the countertop without fear of scratching the surface. Impact Resistant: Häfele’s granite sinks are manufactured from 80% natural quartz. No matter how heavy a pot falls onto the countertop, or how the sink is impacted, it will definitely not crack the finish. Easy to clean: And best of all, these countertops are easy to clean and easier to maintain for prolonged periods of time. As far as the taps are concerned, the kitchen faucet is used throughout the day, at a near constant rate for several household purposes. So, you should definitely invest in a better faucet that not only enhances the aesthetics of your interior, but also elevates the functional capacity and, is durable and long lasting. Häfele knows that your faucet is not just a source of water-flow, but also a relevant ornament or accessory to your kitchen sink. Keeping that in mind, they’ve come up with a newer, better, more contemporary range of kitchen faucets in modern and emerging designs.